Why do we do this? What entices us to keep being part of the machine? Certainly some of us, the poor and vulnerable in our society, are forced to participate out of sheer desperation to survive. How about others? What makes us give over our energy and our passion, day in and day out? What keeps us going is the constantly reinforced story that despite capitalism’s “boom and bust” cycle and its tendency to enter deep bouts of crisis, our participation not only benefits us but society as a whole. Aschoff calls this belief in the system of profit-making “the spirit of capitalism.” Through this “spirit” comes a justification for all things that occur under the capitalist system. 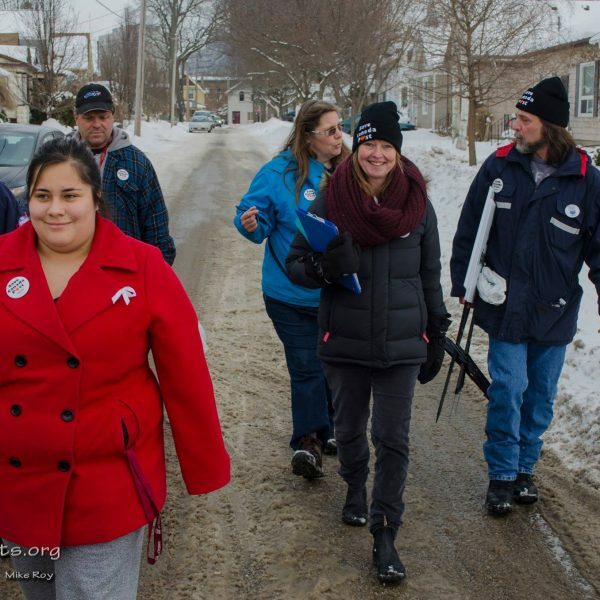 People use to tell stories of hope for a better world; Wobblies (members of the radical labour union International Workers of the World, IWW) would travel across America telling tales of organizing and singing “Solidarity Forever.” Then came the stories of resistance from Rosa Parks to Malcom X and Martin Luther King. But now those stories seem like faded memories of a time when it felt like change was possible. Worse, those stories are no longer connected to a vision of the future. The economic system of capitalism is here to stay so we must find ways to work with it and within it. 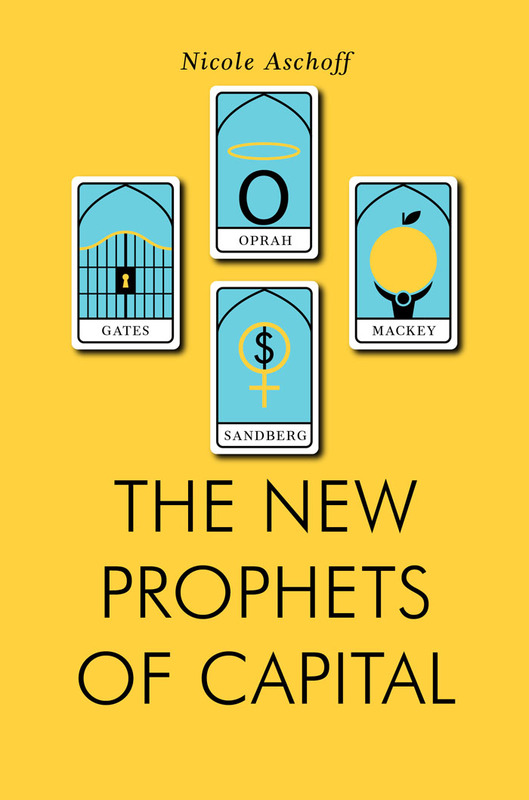 In four chapters, Nicole Aschoff sets out to critically examine the messages of four prophets of capital: Sheryl Sandberg, John Mackey, Oprah Winfredy, and Bill Gates. Sheryl Sandberg is the Chief Operating Officer at Facebook. She is also the author of the book Lean In: Women, Work, and the Will to Lead. In this New York Times bestseller, Sheryl tells women everywhere to take charge and “scale the corporate jungle gym.” She tells women that they too can fill the elite positions in today’s high-tech world. Sandberg has gone on many speaking tours, presented on TED Talks, and has received praise from the likes of Gloria Stienem, who calls Sandberg the “the new boss of feminism.” However, Aschoff points out that Sandberg ignores the external barriers preventing women from even getting meaningful employment, let alone top CEO jobs. These external barriers include poverty, racism, and access to education, to name a few. In Aschoff words, “You can’t just add women and stir.” Having more women in power doesn’t alleviate the inequality created by capitalism, just like having a black president doesn’t end racism. Aschoff provides some examples of women in power who certainly didn’t make things better for other women. Former Prime Minister Margaret Thatcher is one such example. Another is Sandberg’s friend Marissa Mayer, the CEO of Yahoo. Once Mayer got the top position, she cut Flex-Time for all Yahoo employees. At the time, Yahoo employed a large amount of women who purposely sought jobs at Yahoo as its flex-time policy allowed for a better work-life balance. One woman Leans In, hundreds of others Lose Out. John Mackey is creator of the Whole Foods retailer – “a store that sells healthy food to people and provides good jobs.” He is also the co-author with Raj Sisodia of the book Conscious Capitalism: Liberating the Heroic Spirit of Business. This chapter struck a personal note, since I worked in grocery retail for a number of years and always felt it could have been run differently. Before I had started to seriously consider capitalism and its destructive force on the society in which I lived, I would have really liked MacKay’s idea of “conscious capitalism” and his way of running a business. His mission is “to liberate the extraordinary power of business and capitalism to create a world in which all people live lives full of prosperity, love and creativity, a world of compassion, freedom, and prosperity.” Wow, who wouldn’t want that? Mackey argues that if we didn’t have the competition created by capitalism, we wouldn’t have some of our greatest innovations like cars or computers or antibiotics. Free markets are natural to humans and government intervention is to blame for the mutated form of capitalism that we know. He calls this crony capitalism, where lazy business people cozy up to politicians instead of innovating and letting the market decide who should stay in business. Many of us know that “free markets” and capitalism are not natural. People are forced to sell their labour for wages as they have no other means for survival. Things that use to be held “in common” are fenced off, privatized and re-sold to us as a commodity. 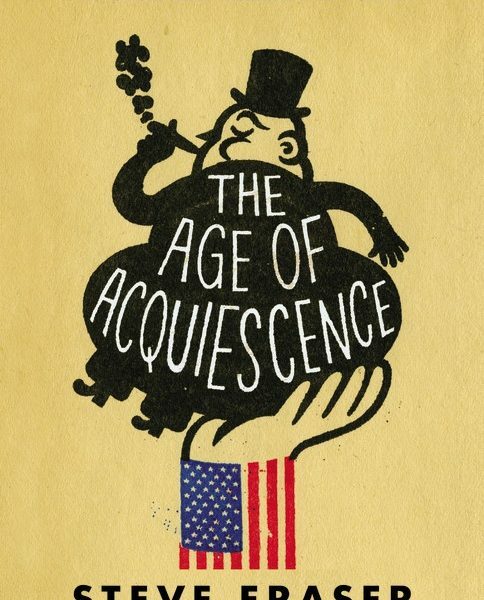 Aschoff also tackles another part of Mackey’s fable of conscious capitalism, in which he argues that so-called eco-businesses must lead the fight against environmental degradation and climate change, since they often have more power than states to control the impact of business on the environment. Aschoff points out though that no matter how eco-friendly they want to be, these businesses still operate inside the capitalist system, which forces corporations to maximize profits for reinvestment and expansion in order to survive. It’s the drive for profits and subsequent expansion that damages the planet, drives down wages and increases inequality. Until production and consumption of goods are designed around human needs and not the quest for profits, businesses and business leaders like Mackey will be forced to play by capitalism’s rules, no matter how “conscious” they are. Aschoff points out that Oprah’s message reflects the main message found within neoliberalism, which is that we are independent actors meeting freely in the marketplace. We are in charge of our own destiny and we have only ourselves to blame if we don’t succeed. Oprah advocates for people to be “flexible, energetic and creative.” They must be doing whatever it takes to succeed, much like the message of Sheryl Sandberg. When life gets you down, like your boring office job, Oprah suggests buying knick-knacks to decorate the workspace, as if buying things will do away the depressing drudgery that is modern day work. Having seen Oprah’s magazine in grocery check-out stands and come home to my Mom watching her on TV, I’d say that Nichole Aschoff’s critique is spot-on. The reason Oprah and her stories resonate so well with her audience is that they hide the political, economic and social barriers embedded in capitalist society. By hiding them, she makes the American dream look possible for everyone. Aschoff notes that in almost every instance this is false. People who lack access to education, quality jobs, health care, and social connections rarely achieve what Oprah is selling through hard work alone. This reinforces a long held belief in meritocracy – If you work hard you will be rewarded, regardless of who you are, what you have and who you know. The final chapter of the book focuses on Bill and Melinda Gates and their Gates Foundation. That Gates’s are described as philanthrocapitalists, people who don’t just want to donate to charity but want to use the forces of capitalism to solve global issues. How will they harness this force? By finding a way to make unprofitable solutions, like treating curable diseases in developing nations, and making them profitable so private capital will have an incentive to care. Because improving peoples standard of living just doesn’t make sense if doesn’t make dollars, right? Because they don’t have to answer to anyone, it doesn’t matter when some of these projects fail. All the projects that the Gates fund however are driven by one principal: “every life has equal value.” It’s hard to argue with that statement. Yet Aschoff again deftly points out the contradiction in the Gates vision to “convert economic need into economic demand.” She does this by looking at two areas of the Gates Foundation’s work –in vaccines and education. The Gates Foundation created a market for vaccines in developing countries so pharmaceutical companies in wealthy nations would become interested to create vaccines for malaria instead of cures for baldness. The Gates use their foundation’s money to do some convincing with government officials and businesses in developing nations so they would start purchasing said vaccines, thus creating a demand. Since the Gates Foundation got into the vaccine business, the total number of deaths of children under five globally decreased from 12.6 million in 1990 to 6.6 million in 2012. The Gates Foundation seems to be a driving force in the decrease of those deaths. However, Aschoff correctly points out that by using the market logic of capitalism to tackle health problems – that is, seeing people suffering and dying as market failure – we stop working towards seeing access to health-care as a fundamental human right. This furthers the capitalist logic that even treating people’s illness is a commodity to be bought and sold. The Gates Foundation also aims to improve public schools and the quality of education children receive, again by applying market logic. Gates feels the poor current state of the American education system is due to the fact that schools are not held to the same standards that we would hold a business to. When a business does not succeed, it fails and goes under. But we don’t let schools go under, and bad teachers are kept in tenured positions. By applying market values to schools, they will be forced to become competitive like businesses. In the Gates model, schools that fail to produce high test scores or meet certain standards of criteria will be denied funding. Teachers that are successful will be rewarded with bonuses; teachers that fail to achieve results will be pulled from teaching positions. In some cases, teachers are tape recorded and later assessed for quality. Aschoff explains how the capitalist logic market does more harm than good, despite what looks like positive results in some instances. Like health care, education is a right, not a commodity. Learning and acquiring knowledge is not something you can standardize like a production line and children are not units of capital, graded on how well they remember textbook readings. Nicole Aschoff rounds out the end of her excellent book with the conclusion she has been arguing for throughout the text. We must have a highly democratic society built around meeting people’s needs, not generating profits. The stories told by the new prophets like Sheryl Sanberg, John Mackey, Oprah Winfrey, and Bill Gates sound enticing because they are taking on issues that people care about. There is a growing public concern over the current state of our society. But when we allow market logic to become the solution to economic and social problems, power over that society is further entrenched in the hands of the elite. Aschoff’s book is very accessible, even if you haven’t read much socialist literature. My one criticism of the book is that the discussion on alternatives is brief at the end of each chapter. The reader is left with questions about how these capitalist ideas can be challenged. However, at the end of the book Aschoff does provide a list of readings for those who want to look further into the book’s concepts. This book is relevant, timely and only 150 pages, perfect for some summer time reading. I highly recommend you add it to your reading list. Geoff Bergen is a member of the Winnipeg New Socialist Group. He is a labour activist within his union, the United Steelworkers, and is employed as an Occupational Safety Presenter, educating vulnerable workers about their rights in Manitoba workplaces.